Paramatma Animal Sanctuary in Guasca-Cundinamarca, Colombia, where animals get the love and respect they deserve is the only vegan sanctuary in all of Colombia, and the only shelter in all of South America that protects cows. 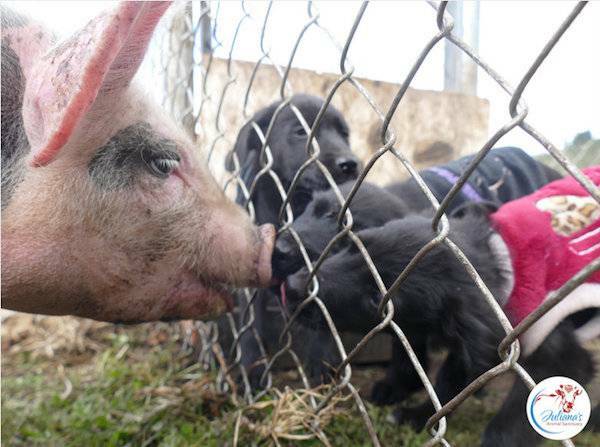 We received a call from some vegans who own a dog rescue with a little injured pig named Sancho. Sancho was kicked in the face by their horse and suffered a broken jaw! Poor Sancho couldn’t eat or drink or even close his mouth but they couldn’t afford to help him. Our sanctuary stepped in and found the money to paid for some X-rays , transportation, and the surgery to fix his jaw (which he will be doing today in few minutes). Today is international smile day, please send Sancho some good vibes so he can get his smile back! This was his life before. 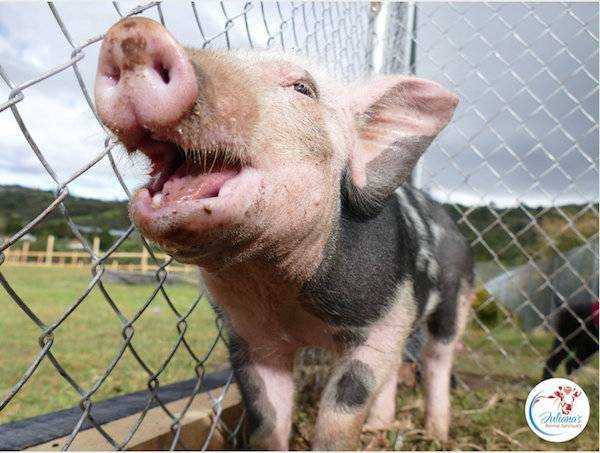 After his surgery, Little Sancho’s previous home decided the best thing for him was to live at our sanctuary! So he gets to stay here with other pigs! We are going to see if he likes Perla because she is young and gentle and he is still likely sore from jaw surgery. Since Sancho has a name but is a newcomer, we are going to make Sancho his “last name” so one of the sanctuary followers can name him afresh for his new life! Sancho’s vet bills were around $1,400, but if someone could just donate $200 to help with the cost, we will let them pick his name. Maybe something that starts with a P, so he fits in with Perla and Pola? Haha! 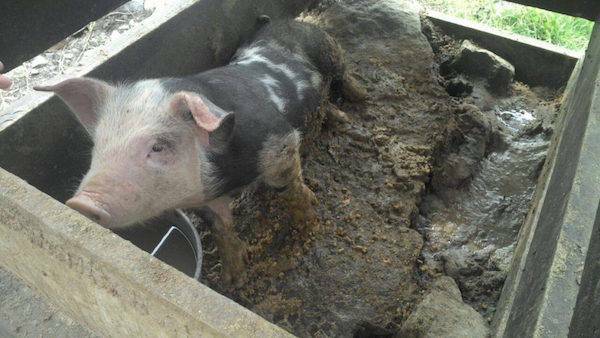 If you want to help and sponsor Sancho and his new free and happy life - visit our website!